You’ve taken “the test”, and you are pregnant! Yay! 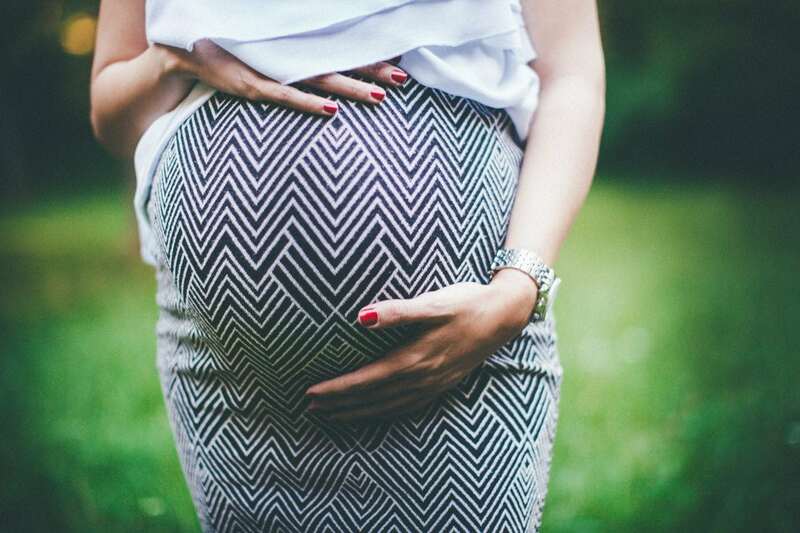 There are baby showers to be had in the coming months and the ability to obtain most of what you need will most likely come from the generous pockets of family and friends. But, I found out I was pregnant when my husband and I were newlyweds with very little money and a whole lotta debt. We assumed that the baby shower would take care of most of our necessities and while the showers did tackle most of what we needed, I wish we would have planned better. We learned quickly how important it was to budget for last minute expenses that would pop up that we weren’t quite expecting. Once you find out you’re pregnant, make sure you get in touch with your health insurance company to get an idea of what kind of prenatal coverage you have or don’t have and what you will be responsible for paying for once the baby is here. Also make sure you get the baby put on your insurance in the correct amount of time or you might get a very shocking bill a few months after delivery asking for payment for the baby’s hospital bills, whoops. Luckily the hospital worked with us and we got it all straightened out. However, it did provide a good eye opening experience of how unexpected life was going to be with our new baby. The importance of having a rainy day savings set aside specifically for our children. Even if you have awesome coverage and don’t expect to pay anything out of pocket. I would recommend still having at least $1,000 set aside for bills. In case heaven forbid mom and baby are not able to leave in the normal 2-4 day time period. Extended care will significantly affect your bank account. Say it again for the people in the back! DIAPERS! Take time to set up a decent stash of diapers during your pregnancy. That when the baby is here you don’t have to worry about it for awhile. Grab all of the sizes too, generally babies are not in the newborn size or size 1s for very long so spend time building up the size range of 3-5. Hunt for coupons, purchase them off of friends who are done with them. If your baby’s skin allows use the generic brand. I found the generic brand to work just as well at a significantly lower price. My babies were fed formula and by living through days and weeks of colicky babies, extreme acid reflux, and a very exhausted mama, we determined that both of my boys would need the most expensive formula on the market. It was a budget killer, but when your baby cries unless being fed a certain brand you will do it. So be prepared for the worst and hope for the best when it comes to the food budget. If the last 3 months of your pregnancy fall during holidays or birthday parties decide. Or those are events you will be attending while very largely pregnant or very newly postpartum. If they are events you are going to want to attend, or at least send a gift, PLAN (and budget) AHEAD! Get gifts ahead of time; get them wrapped and organized and ready to go. Trying to get out with a newborn and find the money for gifts during the holiday season rush at the mall is not always fun. Uh, germs—so take some time and plan ahead! SERIOUSLY. Childcare can be out of this world expensive. If you are going to be paying for daycare why not start tucking money away now? It will hopefully alleviate the weight of this new bill and will help you transition into this new world of figuring out childcare. Money isn’t everything in life, we know that. Having a healthy happy baby is always the end goal in any pregnancy. However, money does give you options. With a new baby you want to be able to have the ability to make the best possible choices for your little one. Sometimes that means expensive formula, a certain brand of diapers, or a really expensive medication. But we do those things for our kids without blinking because they are our most important things now. Take time to plan and prioritize the things that mean the most to you in raising your baby. Happy saving!